Butterfly LifeStyle | Texas Life Style + Travel Blog: 9-Piece Numbers Cut Outs Cookie Cutters Set Only $1.59 Shipped! 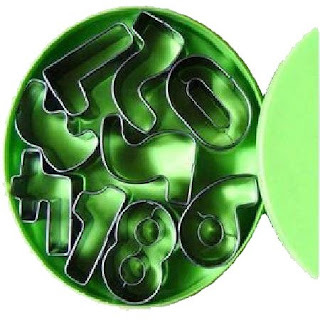 9-Piece Numbers Cut Outs Cookie Cutters Set Only $1.59 Shipped! Butterfly LifeStyle Mommies!!! Check out this great Amazon.com deal on cookie cutters. Get a 9-Piece Numbers Cut Outs Cookie Cutters Set for only $1.59 with FREE shipping! Great for teaching at home, birthday parties, or just family time fun. Click HERE to get yours today!